Some might consider that the size of the screen and the ability to run a basic PDF or image viewer is just about the only functionality needed for a tablet to be a practical tool for viewing sheet music. However, you should also think about what additional music apps you might want to use on the tablet and if all your music is on icloud you might want to stick with an apple device. Whatever tablet you choose, I recommend also purchasing a Bluetooth page turner such as this one on amazon you will thank me later for it. Below you can see the top rated tablets for sheet music. 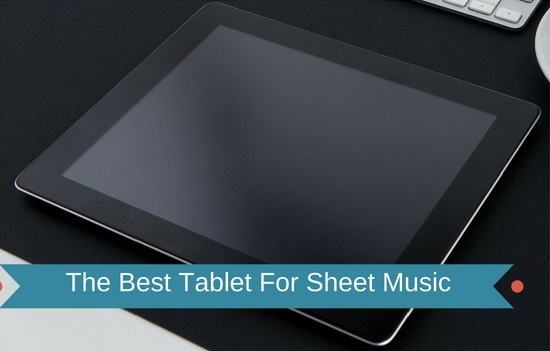 The following four tablets are considered the best tablets on the market for sheet music. We have taken in to consideration the cost, screen quality and ability to run music apps and files. The apple IPad pro is the flagship apple tablet. It comes in a variety of different screen size the largest of which is 12.9 inches – even those with the poorest of eye sites should be able to read their sheet music off this tablet. Internal hard drive space is not lacking on the pro ever with the smallest drive being 64 GB and the largest 1 TB. The screen on the apple IPad as you would expect is crystal clear and more than good enough to read sheet music from. With most tablets we have looked at I would recommend toning down the brightness as they can be a little bright for when you are read sheet music and the iPad pro was no exception. Where we really found the IPad stood out amongst the rest was the sound quality. Although it’s not a requirement for a good tablet to read sheet music the four speaker audio with wider stereo sound really gave a good output when using it for backing tracks. For those of you interested in the technical specifications it has an A12 chip, Bluetooth, 12 Mega pixel rear camera and 7 Mega pixel front camera. 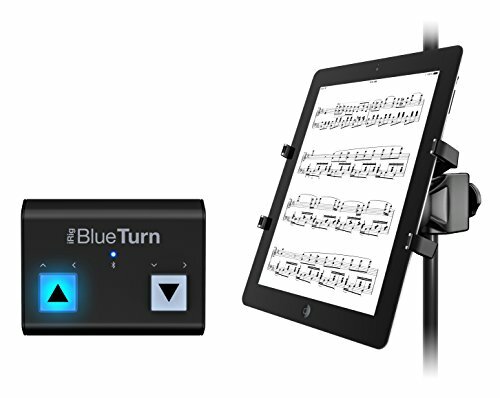 You can get away with reading sheet music off a far cheaper tablet than the ipad pro, but If you are an apple lover and you don’t mind paying the premium this is the product for you. The Samsung Galaxy Tab S4 has a massive 10.5 inch screen which apart from the Apple Ipad Pro was one of the largest tablet screen we reviewed. Sheet music appears nice and clear on the screen which has a 2560 x 1600 pixel resolution and the extra screen size means it’s easier to see especially if you are not sitting or standing close to the tablet. It come with 64Gb of storage which should be more than enough to store all your sheet music. If you need additional storage it can be expanded up to 400Gb via micro SD. The S4 comes with Qualcomm MSM8998 2.35GHz + 1.9GHz processor which makes the tablet not only great for seamlessly flicking through your sheet music but also for surfing the web and playing high end games. Additional features include 8MP Front and 13MP Rear Camera, 4Gb of SDRAM and built in Bluetooth 5.0 for connecting your page turner pedals. The Fire HD’s touchscreen measures 10.1 inches on this version (there is also a 8 inch version at a cheaper price), the resolution is still remarkable at 1920 x 1200 pixels, with 224 dpi. Designed mainly for reading and entertainment, the screen offers genuine HD functionality and brighter, crisper images, thanks to its IPS LCD architecture – ideal for viewing sheet music both indoors and outside. 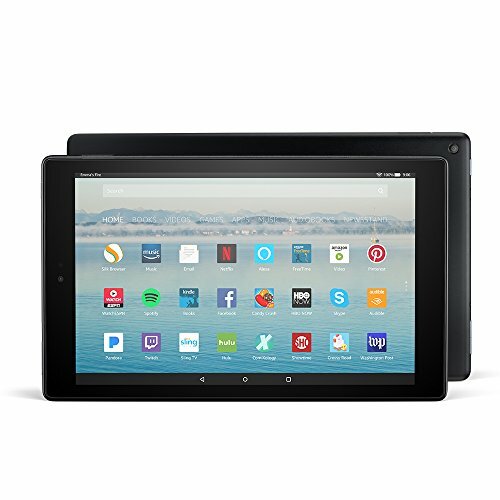 There is an option for 32 and 64 Gb of storage space, depending on your preference, and the tablet comes with a 1.8Ghz Quad core processor and twice as much RAM as the previous Fire HD tablet. When it comes to battery life, the Fire HD 10 might surprise you, since its larger battery offers enough screen on time for 10 hours of entertainment and/or music practice. This value is higher than what any other Amazon tablet can offer, and even better than the iPad Air. 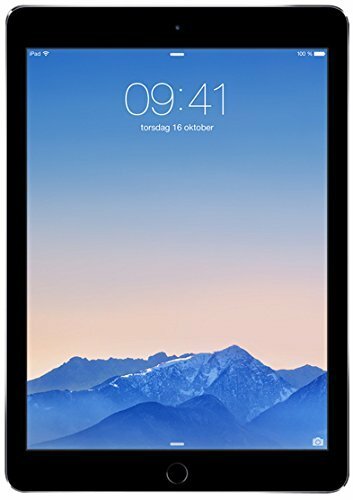 The high resolution, 9.7-inch retina display of the iPad Air 2 is one of the major assets of this tablet when it comes to using it for sheet music. Although it’s not as large as a sheet music page, the 2048×1536 screen resolution allows for a lot of freedom of movement regarding the apps you can use, the size of the sheet music and the detail you wish to see on every page. A great thing about Apple’s revolutionary screen is that glare and clarity related issues are non-existing with the new iPad. Also, due to its high performance processor and 64-bit architecture, you won’t experience any lags or delays even when running the bulkiest and most advanced apps for viewing sheet music. 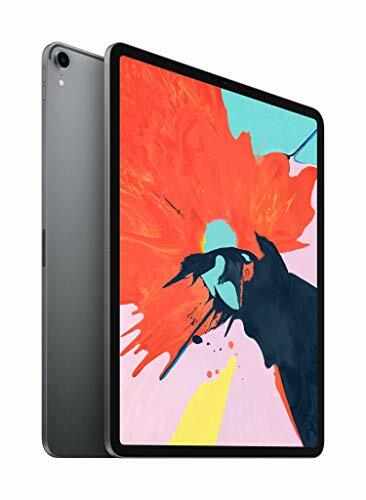 Also, the iPad Air is powered by a fast 1.5Ghz processor far superior to that of most high end tablets, and as a lightweight tablet (weighing only slightly over 15 ounces), it is not as bulky or difficult to manage than tablets developed by other brands. Additional practical benefits include the apps available on iTunes – considered by many experts to be superior to Android – as well as the large 64 or 128 Gb of flash memory storage and the impressive LiPo battery offering an average time between charges of about 10 hours. Samsung’s Galaxy Tab S2 9.7 is another excellent choice for viewing sheet music. The iPad is not the only device featuring an advanced screen. The Galaxy comes with an 2048×1536 (QXGA) Super AMOLED touchscreen that ensures clarity and a smooth performance even under difficult circumstances. AMOLED screens offer better cost, a more energy-efficient functionality and better refresh rate, being often used in larger screens and tablets due to their superior qualities. 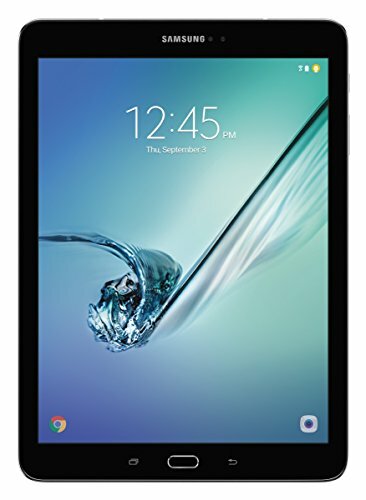 The Tab S2’s main asset, however, is its combination of two Quad-core processors – a 1.9Ghz and a 1.3Ghz processor – that enables it to run as a genuine octacore (eight-core) tablet. This means speed will be significantly increased, and you can run even the largest apps for sheet music without any lags in functionality. 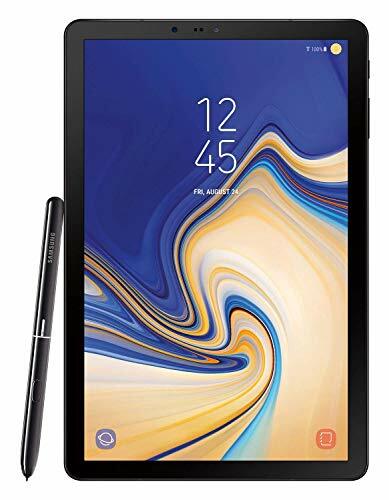 The tablet runs on Android, but its large screen and high performance specs – including 30Gb of storage and DDR3 memory allows you to run any app on the Android Store without worrying about how much space it would take up in the 3 Gb of RAM or the tablet’s flash memory storage. The slightly larger screen and resolution make the Sony Xperia a somewhat better option if you’re looking for the largest screen you can find. Its main asset is the 2560 x 1600 pixel resolution which offers better image detail than any of the tablets on this list. The 10.1-inch screen is also the largest, although its LCD technology is considered inferior to the LED technology used by other tablets. Nevertheless, the Sony Xperia compensates through a 2Ghz quad-core processor, reliable 64-bit architecture and 3 Gb of RAM. This setup, together with the 32 Gb of storage, ensures that you’ll have no problem running Android apps that require extensive resources, so you can even get the most advanced paid apps for viewing sheet music. Now that you’ve chosen a good tablet, it’s important to also get a hands-free solution for turning pages and having convenient access to your sheet music. A tablet page turner is the ideal solution, allowing you access to your pages just by tapping a wireless pedal that connects to your tablet through bluetooth. The IK Multimedia bluetooth tablet page turner is an ideal solution whether you’re using an Apple and Android device. It is supported on any of the aforementioned tablets, and runs easily on two AAA batteries. The device features a backlit construction for easy visibility on stage, and can provide you with a sturdy padded base that connects to any surface in a convenient way. The minimal construction promotes portability, energy efficiency and ease of use, making your music sessions more enjoyable than ever. The Donner page turner pedal is a more hi-tech device with a feature-rich construction and a Bluetooth range of more than 30 feet. Aside from tablets and iPads, it can also support laptops, desktop PCs and macbooks, so you don’t have to worry about compatibility. The sleek and well-organized interface makes controlling your sheet music easy, and the left and right foot switches are easy to use. Also, you get more than 50 hours on a single charge – a handy advantage if you’re too busy to recharge the pedal at a short notice. All the tablets in our list can support these reliable and handy page turner gadgets. Whether you need to manage lots of files, run advanced apps, or just need a large, bright and clear tablet screen regardless of the apps you use, the devices presented above can be considered the fastest and most portable available tablets for the job.